Yeon Woo puts in effort to learn the royal etiquette that a crown princess must know. Lee Hwon is gazing at her lovingly as he encourages her. Nok Young receives the paper written with the exact time and date of birth of lunar calendar and clothes of Yeon Woo from Queen Dowager Yoon. She is in dilemma. In the end, she submits to the threat of Queen Dowager Yoon, and performs a curse on Yeon Woo. Yeon Woo who is alone at her Hidden Moon Pavilion of Royal Palace suddenly suffering from painful illness. 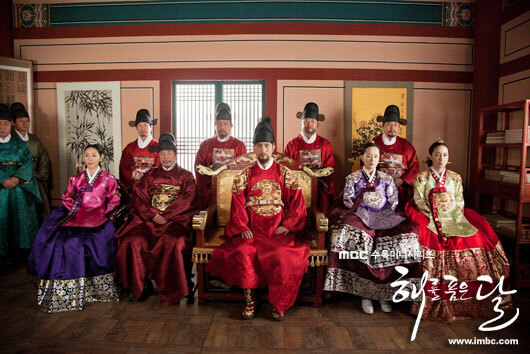 At the side hall, the ministers belong to the Yoon Dae Hyung clique are using the excuse the crown princess Heo Yeon Woo is hiding her illness to strongly request King Sung Jo to order expelling her from the palace, as someone ill must not be allowed to stay at the place. Crown prince is furious and rushes to the residence palace of Yeon Woo after knowing the fact that ministers are attempting to oust Yeon Woo. Yeon Woo is sent back to her family residence, and Lee Hwon pulls a long face and watches her leaving tearfully. The illness of Yeon Woo is getting worse, and Nok Young secretly pays a visit to Yeon Woo’s father, saying that there is a way to end the pain, and makes a suggestion.